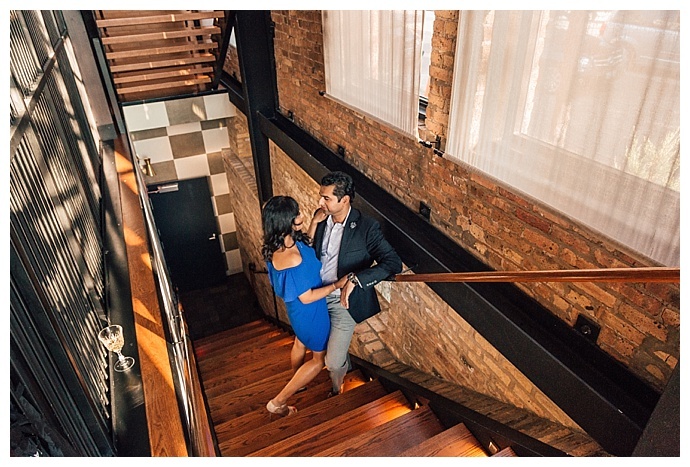 In the city where they met and fell in love, Bokéh Studios captured Rishi and Sonia at some of their favorite places around Chicago for these gorgeous engagement photos. 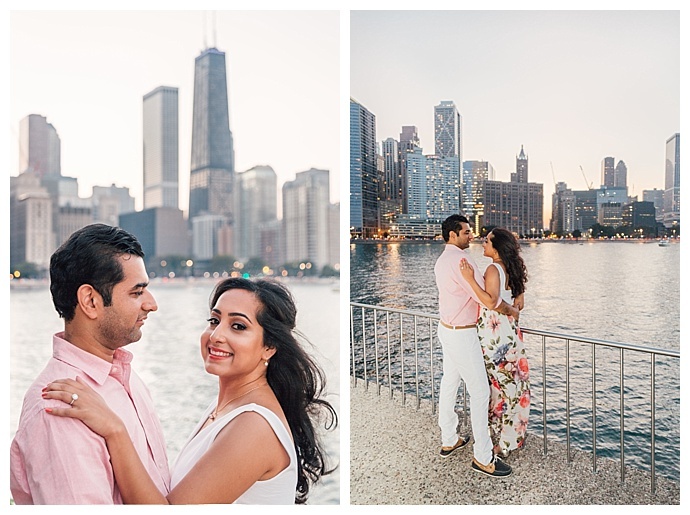 From a fine dining Japanese restaurant in Fulton Market and a tacos and tequila bar to the Chicago waterfront with a breathtaking view of the skyline at sunset, these two soonlyweds are positively glowing. From early on, it was clear these two were destined to meet. In fact, their paths should have crossed much earlier than they did. 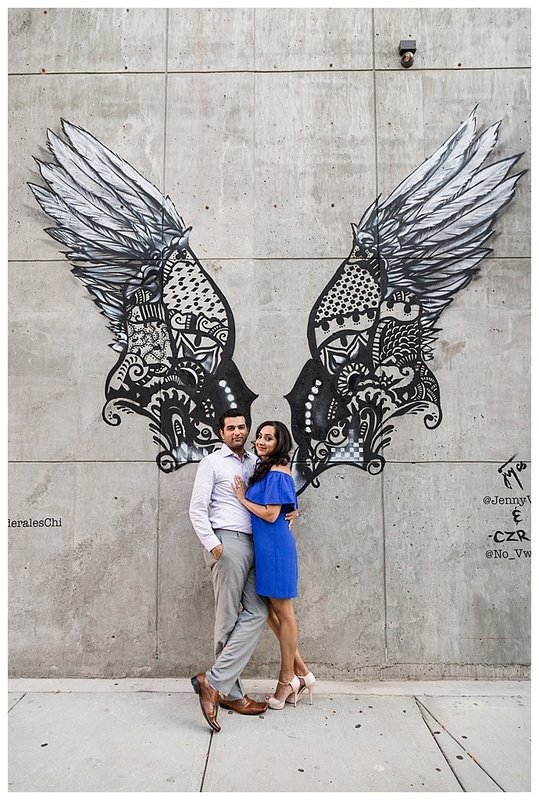 Rishi and Sonia both grew up in the Bay Area and later lived in Los Angeles while they attended UC Berkeley at the same time. 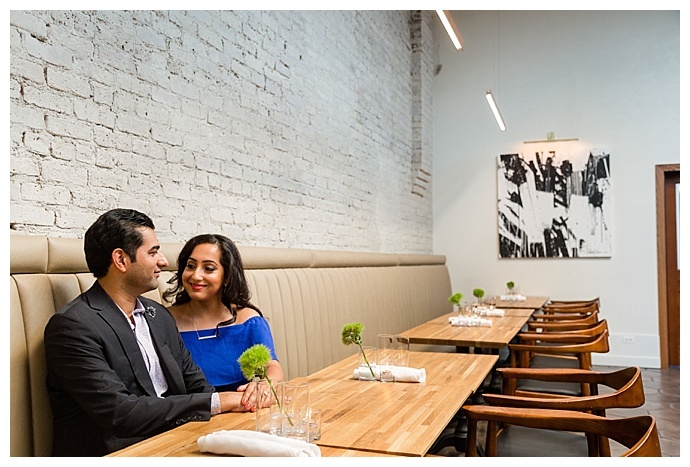 Rishi had even become friends with Sonia’s brother, but Sonia and Rishi had never met. 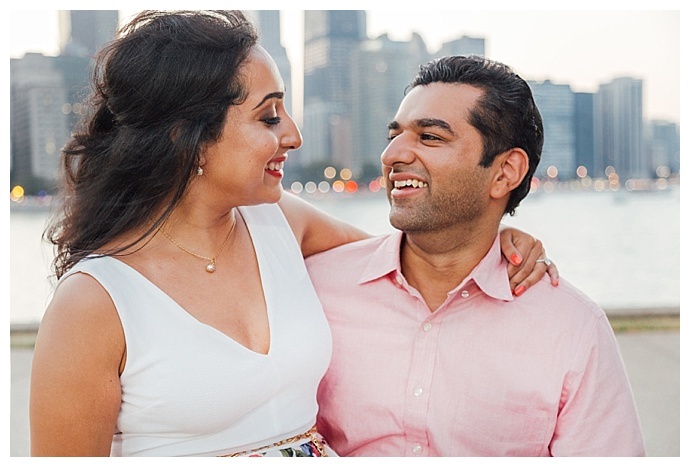 After Rishi graduated from USC with his MBA, he moved from California to begin his new career and be closer to his sister and her family in Chicago. 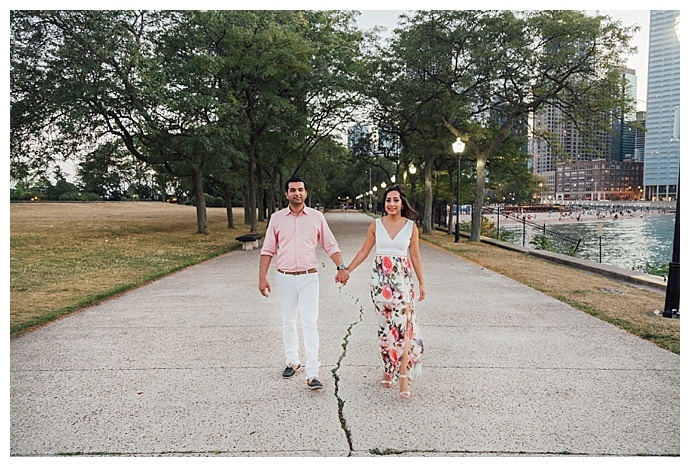 At around the same time, Sonia had just gotten the news on Match Day that she was going to be completing her residency in the windy city. They both settled into their new homes and somehow landed on the same street. 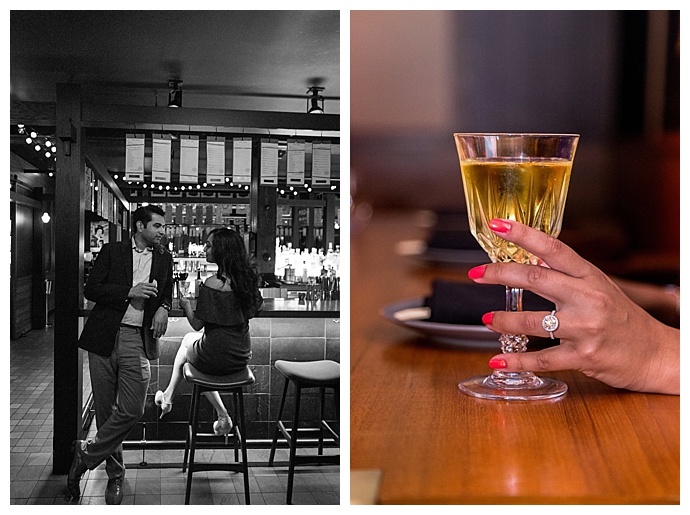 Restuarants, clubs and bars were the only thing separating their homes on opposite ends of the block, but it wasn’t enough to keep them apart any longer. 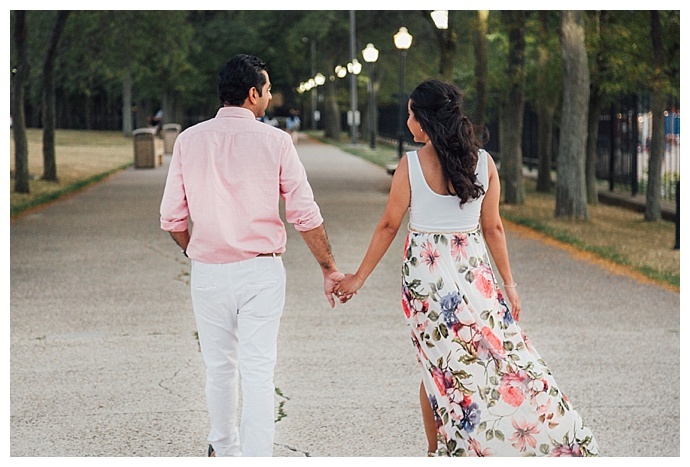 It had always been one of Sonia’s dreams to see the cherry blossoms bloom in Japan, but when she started making plans to go, Rishi had a work conflict. So she began recruiting her friends to join her; however, as the trip neared, nearly all of her friends had canceled for various reasons, and Sonia feared she would have to cancel as well. 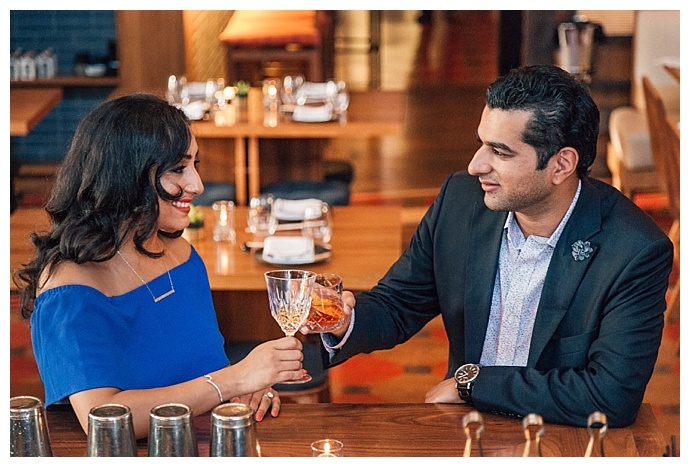 She asked Rishi again, and he surprised her by saying yes, the beginning of many surprises he had in store for Sonia on their trip. 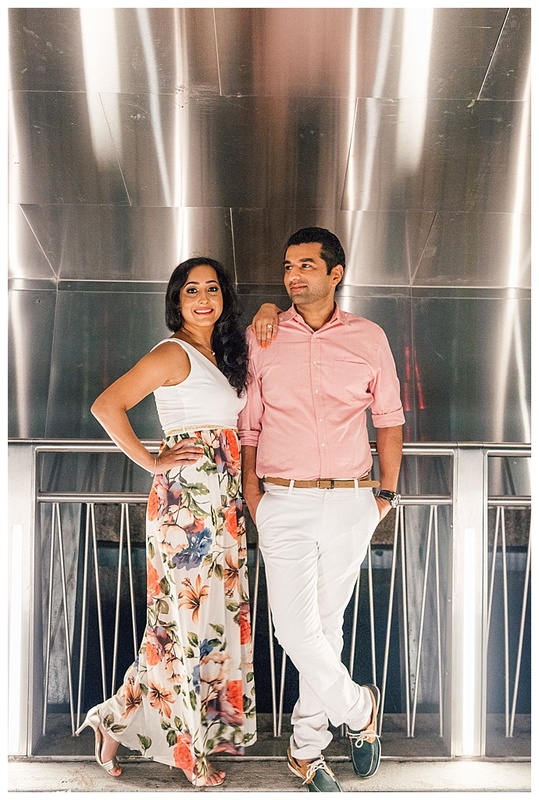 When April finally arrived, they jetted off to Japan, and within hours of landing, Rishi had veered off Sonia’s tightly packed itinerary and rented a Japanese houseboat for them in Kyoto. 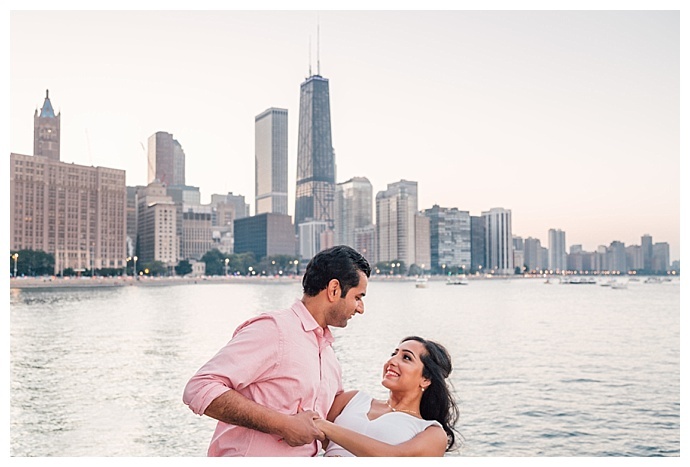 They sailed to the middle of the lake, surrounded by breathtaking scenery and Rishi surprised Sonia once again by getting down on one knee. 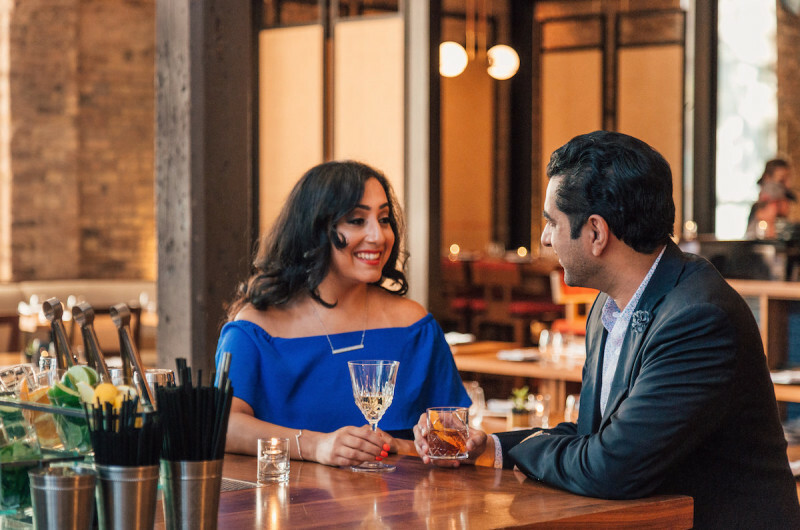 The spent the next 10 days celebrating and enjoying their time in Japan, and when they arrived back home, their families surprised them with an unforgettable engagement party. 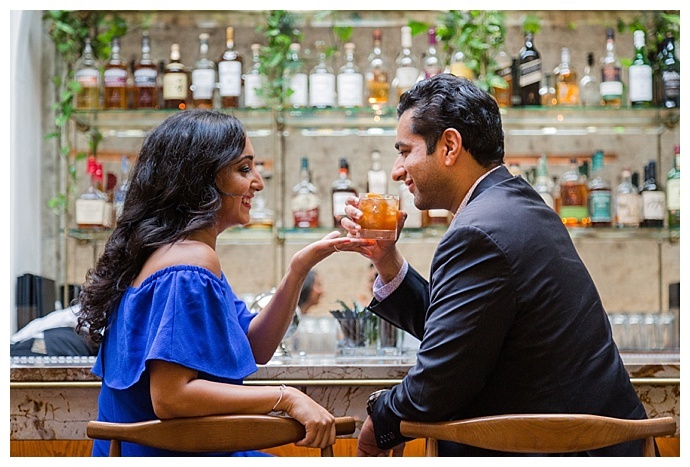 Six months before they went to Japan, Rishi asked Sonia what kind of diamond shape she preferred, only to find out that she didn’t know. 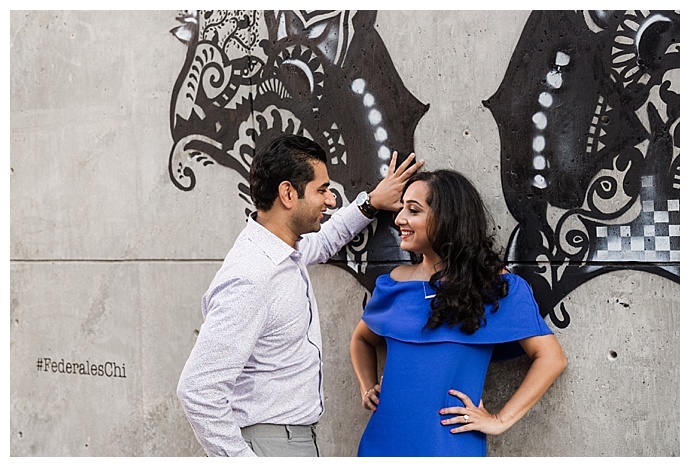 Rishi went back and forth on many designs before handpicking a round diamond that he had set in a halo of diamonds for the perfect ring for Sonia.